Sightseeing Tours In Bulgaria - Nature, History, Culture. Family And Study Excursions. Enjoy a fabulous 8-day cultural trip and all its advantages and benefits of the small group tour. This is a classical journey through all major captivating sites of Bulgaria. Centuries will pass in front of your eyes while exploring museum-villages, ancient monasteries, tombs, sanctuaries and natural phenomena. Besides the guided tours in the cities and tourist sites, you will be able to experience the Bulgarian style of living and mix with the locals and their traditions. Day 1. Arrival at Sofia Airport. Transfer to the hotel. Time at leisure and overnight. Day 2. Sightseeing Sofia. Transfer and visit of Rila Monastery (UNESCO). Day 3. Transfer to Plovdiv. Sightseeing Plovdiv. Free time in the afternoon. Day 4. Transfer to the Valley of Roses and Thracian kings. Rose-oil distillery and Kazanluk Thracian Tomb (UNESCO) to be visited. Transfer and guided tour of the Old Town of Nessebar (UNESCO). Overnight in Nessebar. Day 5. Transfer to Varna and tour of the city’s center. Drive to Veliko Tarnovo with an en-route stop at Madara Horseman (UNESCO) and the village of Arbanassi. Overnight in Veliko Tarnovo. Day 6. 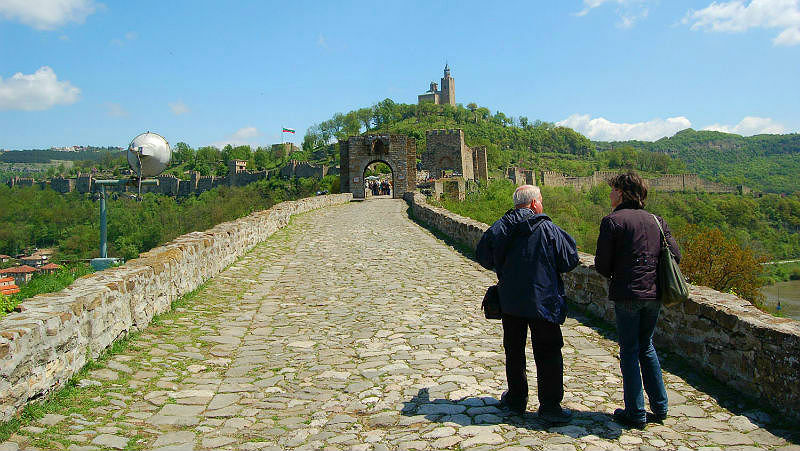 Sightseeing Veliko Tаrnovo. Free time in the afternoon. Day 7. Transfer to Etara open-air museum and guided tour of the complex. Transfer and guided tour of the Boyana Church. Gala dinner in Sofia. Day 8. Breakfast. Transfer to the airport for departure. Please contact us if you plan to travel on budget and we will come up with a fair quotation and a program that will fully cover your interests.